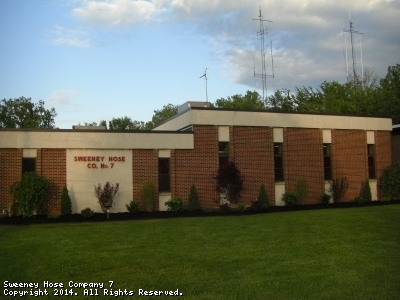 WELCOME TO SWEENEY HOSE COMPANY #7, INC. Welcome to our Website. We hope that you will visit frequently and check for upcoming events, news from the "Hose House" and our activities throughout the year. This site has been viewed 33,222 times.